Although the Center for Environmental Studies, relatively speaking, is one of the more recent programs offered at Austin College, the opportunities offered and accomplishments already satisfied are robust. The Center was launched in 1997 with the initiation of a minor and a number of programs, and a major was made available in 2007. During these past years the Center has developed numerous methods that promote multidisciplinary inquiry of environmental issues and solutions through education, research, and experiential learning opportunities. These programs are designed to increase scientific knowledge, expand community awareness, and foster greater appreciation for the interdependence of humans and other species. The program hinges on courses and guidance offered by our environmental studies professors – Dr. Keith Kisselle, Dr. Mari Elise Ewing, and Dr. Peter Schulze – but it would not be so thriving without the courses and support of numerous faculty from other disciplines. There are 12 disciplines that teach one or more courses under the environmental studies umbrella; for example, Green Thought & Environmentalism in Germany with Dr. Wolfgang Lueckel (German) & Whose Amazon? taught by Dr. Terry Hoops (Anthropology). In addition to the regular semester’s classes, we offer a handful of focused January term courses; some recent topics and corresponding destinations include Natural History of Hawaii, the Everglades Ecology and Natural History, and the Natural History of Trinidad and Tobago. Another popular Janterm, hosted locally in Sherman, is Prairie Restoration at a nearby 100-acre site owned by the College warmly referred to as “Sneed Prairie“. Students are able to assist with and learn about the restoration of the tallgrass blackland prairie, and have been doing so for over 10 years. At Sneed students may also be offered the opportunity to work as field trip guides for local fourth and fifth grade classes. The program is aligned with Texas education curricula and funded by grants from the Cargill Foundation and the Robert & Ruby Priddy Charitable Trust. Since 2002 we have been hosting several field trips annually, and in the fall of 2016 we welcomed our 10,000th child. There are many other ways in which students can get hands on and real experience in our Center for Environmental Studies. Austin College has partnered with three renowned and outstanding environmental organizations –The Land Institute, Bamberger Ranch, and the Little Traverse Conservancy – in order to provide students with a memorable and inspiring learning experience through summer internships. Since the outset of the Environmental Studies program, all students who enroll in our introductory course, Fundamentals of Environmental Studies, have formally proposed means to reduce the college’s impact on the environment; we have adopted some three dozen proposals to date. Some of these implementations include water bottle refill stations, low flow showers, and GreenServe – a day dedicated to environmental service across the Texoma community. Recently these greening projects have been funded by the Student Sustainability Fund and managed by a small student board. In 2013 the student body voted to enact this fund; each contributes $5.00 to the fund annually, which is to be used specifically for these projects that support sustainability on campus. 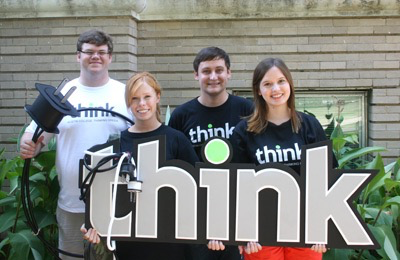 Leaders of the Student Sustainability Fund are also leaders for a student group called Thinking Green Campus Awareness, AKA Think. 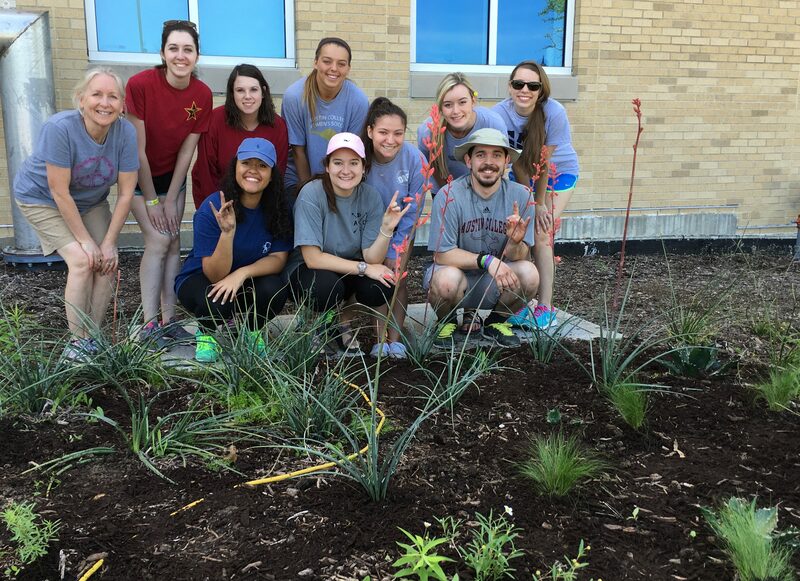 The mission for Thinking Green Campus Awareness (TGCA) is to increase campus participation in environmental responsibility and sustainable utilization of resources so that students will enrich their communities beyond Austin College. This group hosts several campus wide events such as AC Unplugged (an energy saving competition), GreenServe, and Think Move-in (providing recycling assistance and education to incoming students). A few of the last integral components of the Center for Environmental Studies are our relations and agreements with the Second Nature Carbon Commitment, AASHE/STARS, the Princeton Review, and the US Green Building Council. Every other year we submit a greenhouse gas emissions inventory to Second Nature; our goal is carbon neutrality by 2035. These regular reports, some compiled by senior students in thesis projects, allow us to measure the percent decrease in total campus emissions. Since we began reporting in 2008, we have already achieved a 45% reduction in emissions. A combination of changes, such as the conversion to 100% renewable/wind energy or the conversion to LPG-fueled lawn mowers, have helped us to reduce the environmental impact of our campus community. We also submit reports through STARS (Sustainability Tracking, Assessment & Rating System), a program of AASHE (Association for the Advancement of Sustainability in Higher Education), which provides us with yet another platform to review, measure, and improve our sustainable and environmentally responsible performance or practices. Our STARS submission is shared with the Princeton Review, who then creates a list of the nation’s most green colleges. Austin College is proud to have earned a place on this list of only 353 campuses. 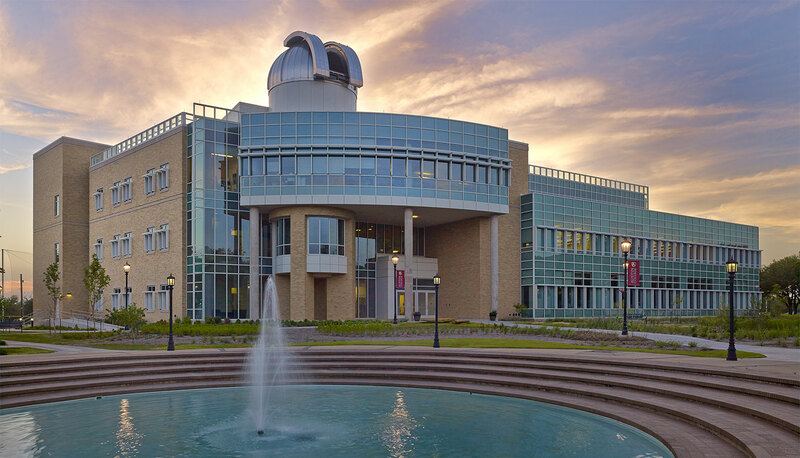 In 2013 the college welcomed another complimentary recognition; our new science building, the IDEA Center, has been certified as LEED® Gold by the US Green Building Council. In addition to being environmentally efficient, the building also provides a pleasant learning environment and serves as a direct subject for education on green design for students as well as local community members. For more entries from our Center for Environmental Studies, navigate your way through our Environmental Studies Blog Posts.